Crafting a perfect, delicious dish not only requires fresh ingredients and superb skills, it also relies on a precise and powerful cooking appliance. “Culinary Demonstration” is a live cooking demonstration series hosted by our in-house master chef. 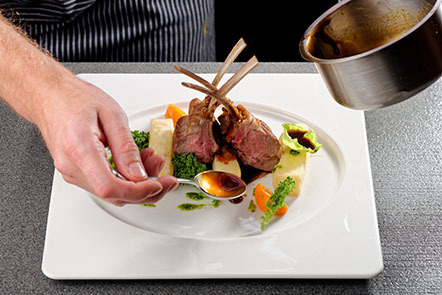 It will help you select the ideal Miele built-in appliance to assist you in creating mouth-watering worldwide cuisine. Once a week at our Miele Experience Centre, our chef will demonstrate how to cook two tempting dishes using one of four cooking techniques: steaming, baking, steam-baking and sous vide. During each one-hour session, you will have the opportunity to experience the unrivalled performance of Miele cooking appliances and indulge in a tasting session. If you are looking for new cooking appliances for your kitchen, come and explore the versatile functions and usages of our cooking sets. Please contact our sales team for event registration at 2890 1018. *Registration is considered successful upon confirmation by our sales team only.